St Johnstone are in dreadful form at the moment. Despite earning a point from their last away trip at Ibrox, they’ve also not won in seven games and have netted only once during that stretch. Hibs, meanwhile, have discovered a real momentum since the arrival of Paul Heckingbottom. 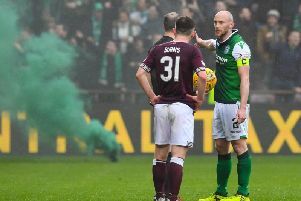 There were still some causes for concern in Friday’s win over Dundee - mainly how porous Hibs looked at the back - but there was a verve and confidence to their attacking play that’s been missing for many months. Prediction: Hibs win.